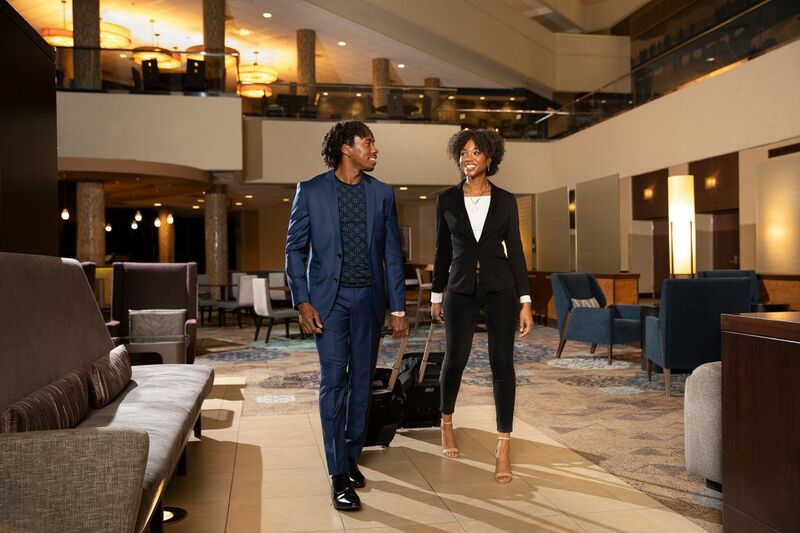 Located within walking distance of Nationwide Arena and the trendy Arena District, Hyatt Regency Columbus redefines the modern hotel experience. 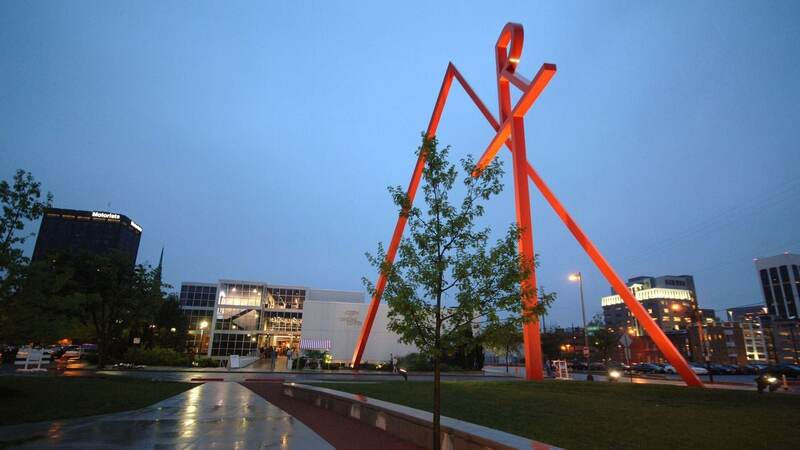 Connected to the Greater Columbus Convention Center and steps to the Short North Arts District, ours is the hotel in which to meet and play in downtown Columbus. 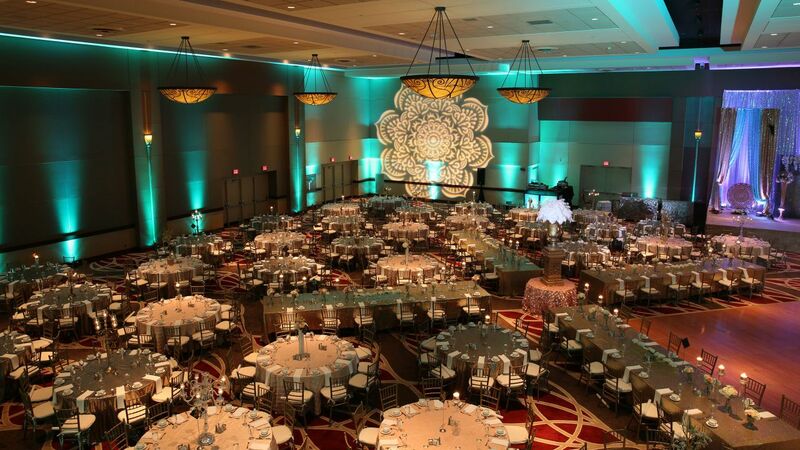 Exchange vows in elegant ballrooms or celebrate in spaces against the downtown Columbus cityscape. With expert planning and impeccable catering, weddings are just a bit more magical here. 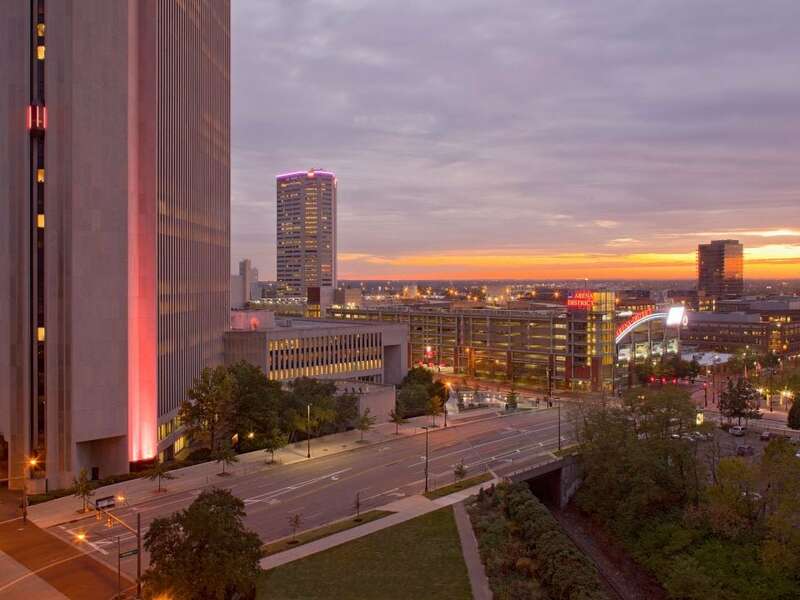 From historic theaters to action-packed sporting events, our hotel is in walking distance of downtown Columbus’ Arena and Short North Arts Districts, so you can stay steps from the city’s best. 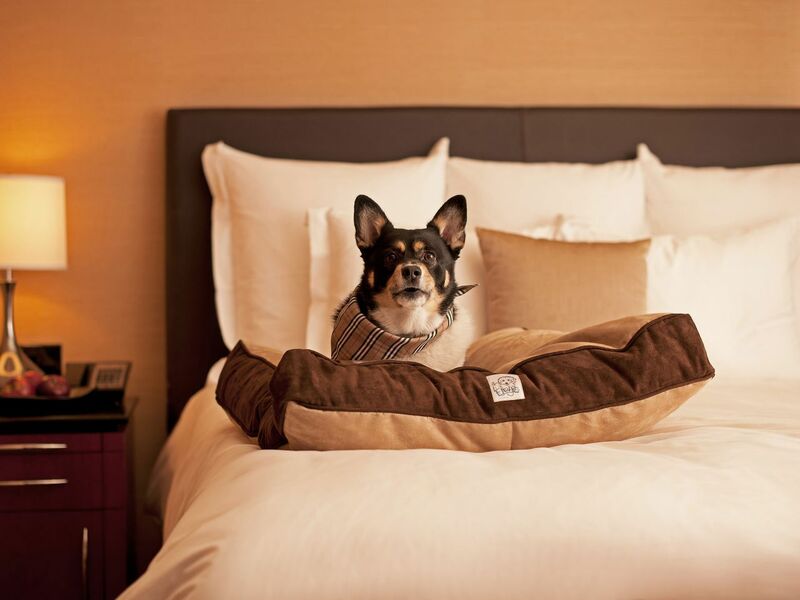 Stay comfortable in one of 633 sleek rooms, including 18 suites. Enjoy views of downtown Columbus, the Arena District, or the Short North Arts District from your room, decked with a granite-topped workstation. 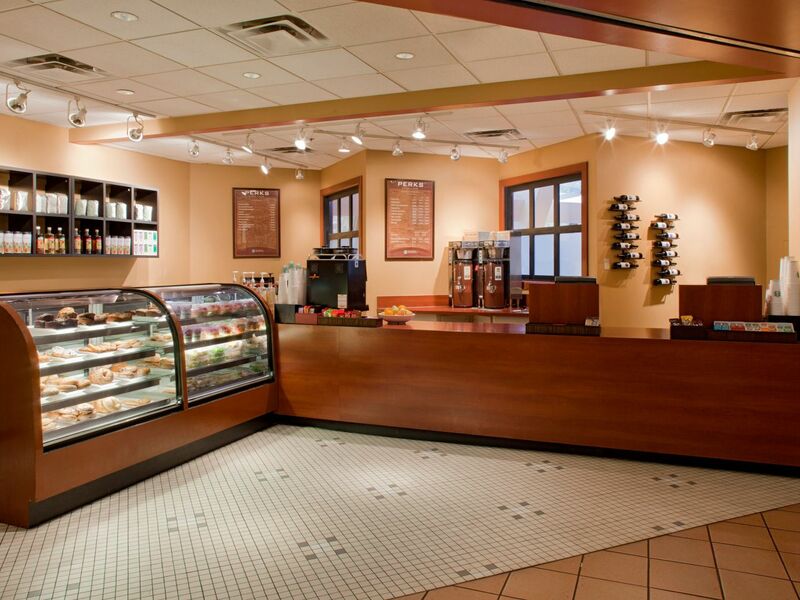 Our 24 hour business center is conveniently located in the hotel lobby next to the front desk. Take advantage of advanced cardio machines and strength training equipment in our 24-hour StayFit™ gym. Exercise in the privacy of your room with on-demand YogaAway™ classes accessible from your entertainment center. 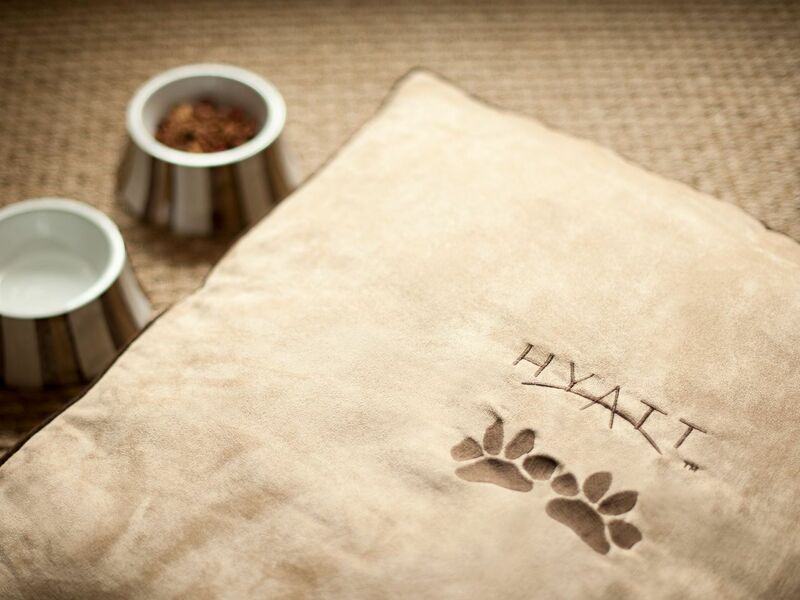 Your pets are welcome at Hyatt Regency Columbus, just let the hotel know about your dog’s arrival in advance. 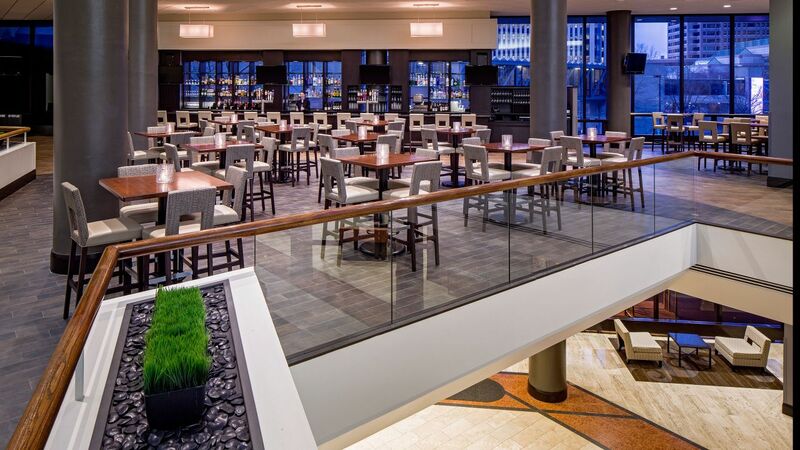 Feast on flavorful American fare, from traditional favorites to local brews and signature cocktails, with views of downtown Columbus setting the stage for breakfast, lunch, or dinner. Grab and go snacks and sundries at our in-house market. 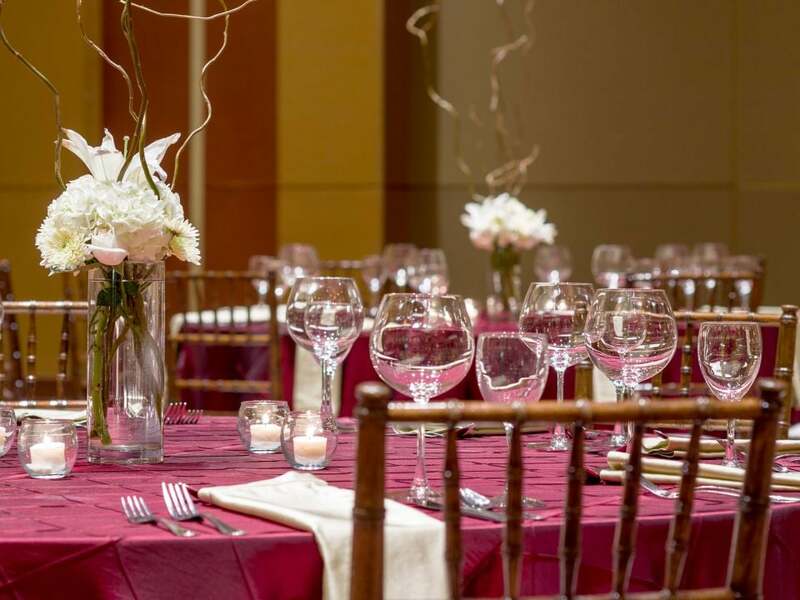 Set the stage for your special day with expert wedding planning, sumptuous catering, and inspiring venues, including ballrooms and stunning spaces, designed your way. 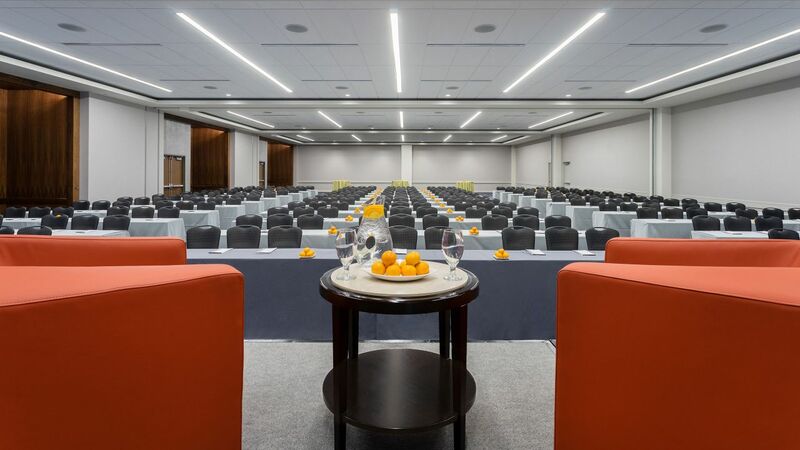 Choose from private meeting suites to expansive ballrooms and more than 70,000 square feet to host a seamless and successful event of any size. The hotel was convenient to my convention. I forgot my phone charger and they even had one at the front desk to lend to me. Staff was very courteous and accomodating. I checked out on the way to my convention one morning and they kept my bags. Valet service and food were all excellent! 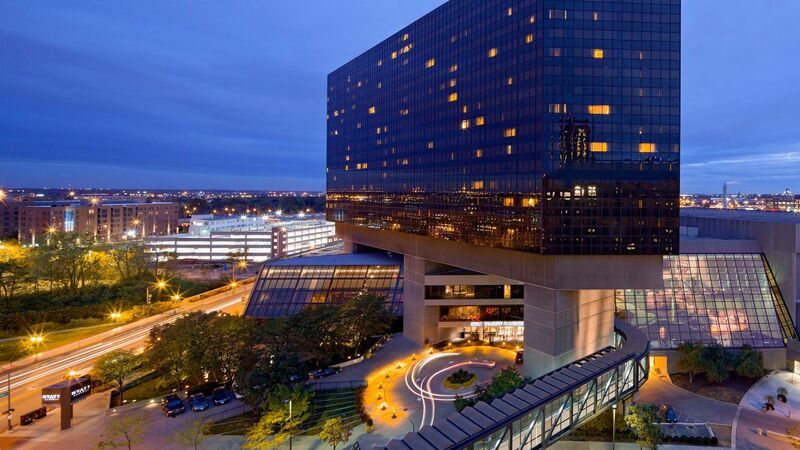 What else is happening at Hyatt Regency Columbus?